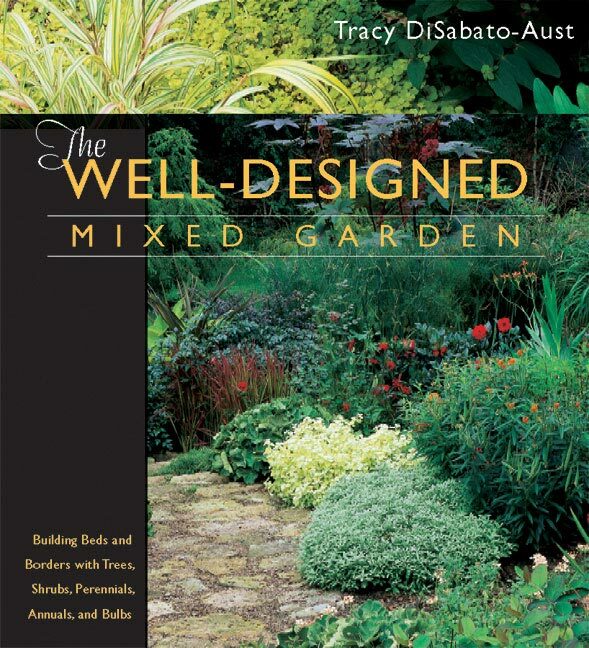 tracylive.com » The Well-Designed Mixed Garden Now Available in paperback for a great low price!! 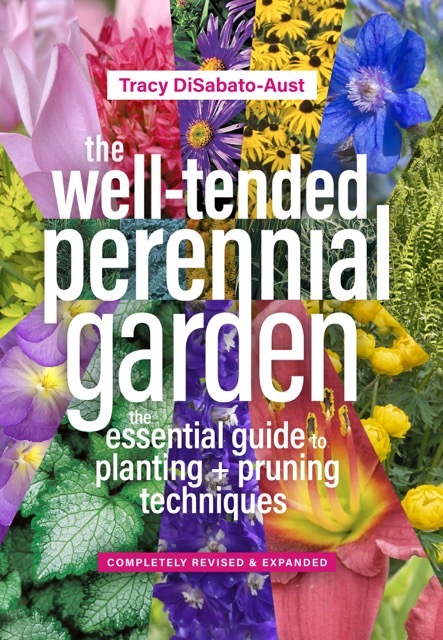 The Well-Designed Mixed Garden Now Available in paperback for a great low price!! Some people’s eyes glaze over when the subject of conversation turns to garden design. And you can’t blame them — “design speak” can sound like a lot of highfalutin gobbledygook. So it’s a cause for celebration when you come across a writer who can communicate the elements of garden design clearly and effectively. And if that writer can also instill in the reader a sense of joy and enthusiasm for gardening, it’s time to uncork the champagne. 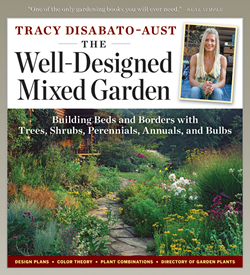 These admirable qualities can be found on every page of The Well-Designed Mixed Garden: Building Beds and Borders with Trees, Shrubs, Perennials, Annuals, and Bulbs, Tracy DiSabato-Aust’s masterful guide, now available in an affordable paperback edition. In part 1, she discusses the rationale for planting a mixed garden (beauty! variety! a long season of interest! ), explains the design process and the principles of good design, and elucidates the complex ways in which color, texture, and form interact. 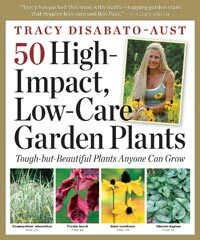 Part 2 provides examples (including both photographs and design plans) of small, medium, and large mixed gardens, and part 3 consists of an encyclopedia of 27 plant combinations. As if that weren’t enough, the appendices brim with useful information. There are extensive charts that list the design characteristics and cultural needs of 743 plants; 33 lists of plants by specific design traits (for example, blue flowers, variegated foliage, bold leaf texture); and 5 lists of plants by maintenance requirements. By any measure, it’s a very generous package. So if, in the past, discussions of garden design have made you want to leave the room, it’s time to come back in. Tracy’s talking, and she’s worth listening to.